According to the American College of Gastroenterology, 60 million Americans report having heartburn at least once a month, and some studies report that more than 15 million Americans have symptoms every day. Along with heartburn comes acid reflux and often times at its worst, an ulcer and potentially, when the domino effect ensues and the root cause is not addressed, throat or stomach cancer. That’s why this article is intended to give you things you can do before, during, and after a meal to avoid heartburn and acid reflux, as well as to drill down to the root cause of why you might be getting this and other symptoms. The body gives us symptoms as clues that something is out of balance, so read on to learn how to give your body the balance it’s craving. Ironically, heartburn and acid reflux are often connected to or caused by low stomach acid. You can avoid that by taking a good, quality digestive enzyme that contains betaine HCL with pepsin 20 minutes before your meal so your body has what it needs to do its job when the food arrives. Take one teaspoon of raw apple cider vinegar in about 4 ounces of water to stimulate hydrochloric acid production while also neutralizing acidic poisons in the system. Make our “Ginger Pickle” recipe to stimulate your body to produce it’s own HCL. Mix together and put in a jar. Let “pickle” overnight and take ½-1 teaspoon before bigger meals daily for 2-4 weeks. An acid bomb full of poor-quality meat that was treated with hormones and antibiotics paired with broken oil-laden fries will create a heartburn situation, whereas a meal of clean protein including poultry or fish with organic vegetables and a complex carbohydrate should settle nicely. Just one tablespoon of fresh cilantro, oregano, basil, or parsley will go a long way in assisting your digestion because all four herbs act as dietary antipathogenics to keep the “bad guys” that cause acid reflux at bay so you can digest your food better. You already know the good work apple cider vinegar does to prevent reflux, and bone broth, full of minerals, will alkalize your body, protect your stomach lining, and assist greatly in the digestive process. Try using broth instead of water whenever you steam veggies, or have a mug of warm broth with your meal. 2: Have a cup of hot ginger tea with a splash of apple cider vinegar. 3: Take colostrum, a nutrient-dense combination of immune system components and growth factors to support your natural intestinal function. Colostrum helps soothe and repair the gut (mucosal) lining. This makes colostrum a good acute remedy as well as a key player in the long-term support of a healthy immune system. When taken consistently for a few months at a time, it can help you produce more immunoglobulin (IgG). They are the most common antibodies or proteins made by our immune system. The immune system produces them in response to a threat (perceived foreign invader) to keep you safe. Therefore, producing more immunoglobulins will help you knock out unwanted bugs and mitigate or eliminate (some) food sensitivities. It’s important to know what to do day-to-day to make yourself feel better, as well as to have healthy go-to “band aids” for when you don’t eat or feel well. It’s also important to get to the root cause of this, or any health issue. If you’ve been following my work for any length of time, then you know I am all about healing from the root cause so you can have a better, happier life free of health issues so that you can thrive. That being said, let’s dig into the solutions to these 4 main causes of heartburn. Hydrochloric acid (HCL) is naturally secreted in the stomach in order to digest food so it can be absorbed into the bloodstream. Vast majorities of people I work with (over 50%) have low stomach acid. 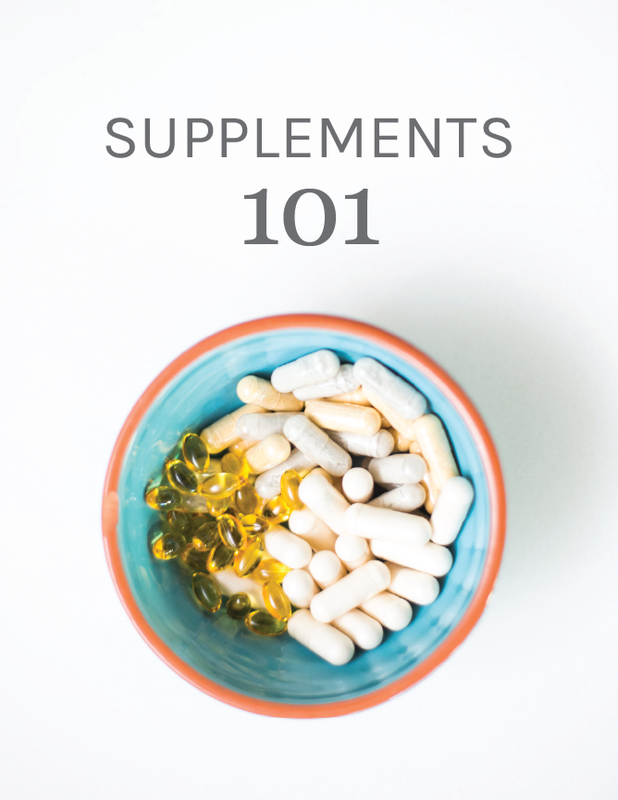 Not only does this create or exacerbate heartburn and reflux, it leaves you vulnerable to key nutritional deficiencies that create a domino effect in the brain, hormones, and gut. I wrote a detailed blog about about how to balance low stomach acid here. Digging deeper here…what could be the root cause of low stomach acid? 8 out of 10 times, there’s a “bug” or several bugs that normally live harmoniously in your body but have now gotten too big for their britches and taken over. They now create an over acid condition resulting from their metabolic waste (they are terribly messy house guests) and now this is causing harm to your mucosal lining, or the protective layer in your throat, stomach, and small intestine. This is what creates that raw or burning feeling. It’s similar to having a wound from the inside. It can also manifest as itchy skin (eczema or psoriasis), bloating, and most always comes with brain fog as well. The two culprits here are a bacterial overgrowth called H. pylori (Helicobacter pylori) and a yeast overgrowth in the form of Candida (Candida albicans). H. pylori likely got in because your stomach acid was too low to kill it and Candida likely took it’s opportunity to grow after a round of antibiotics (even years ago) or from a diet that promoted it. H. pylori and Candida are kind of a packaged deal. They like to hang around together so when you address one, you must also address the other to truly clean up the root of the pathogenic (bad organism) activity that is causing those tiny holes in your mucosal lining as well as the raw and burning feeling in your body. Then, you must rebuild that mucosal lining (and your stomach acid) to truly heal and keep your immunity strong so if those foreign invaders try to come back, your body will know how to kick them out and let them know they are not welcome. When approaching getting rid of H. pylori, you must do it gently because your mucosal (protective) lining is already compromised. Therefore, if you use heavy hitting, powerful antibacterial botanicals or even antibiotics, they may certainly work, but they will also cause further damage not only to your already vulnerable and thin mucosal lining, but they will also knock out the other good bacteria you have that works hard to keep you healthy day in and day out. To avoid that, we use a gentle combination of wild crafted botanicals that are still uber powerful in eradicating both yeast and H. Pylori, but they are also gentle enough not to kill the good bacteria nor degrade the stomach lining. Matula tea is a near magical tea that has been clinically proven to eradicate H. pylori and consistently beats other treatments used for stomach ulcers, acid reflux, and Candida. It’s an easy to drink herbal tea that you drink for 30 days. We use this very successfully in our Gut Thrive in 5 program for those on Plan H (one of our customized plans – I’ll tell you more about those soon). This approach works because it intercepts the “cell phone” communication method that the bacteria and yeast use to communicate and proliferate in your body. It weakens them (and also kills some of them without destroying the mucosal lining) so that the existing good guys can strengthen and then the “bad guys” can start to leave on their own. This is much easier on the body and less barbaric, ending the “open warfare” mentality that generally exists in the microbiome where we bomb and attack the whole body to kill off the bad guys, and end up inadvertently killing our good bacteria and hurting our immune system. Did you enjoy this blog? If so, leave a comment and let me know what you learned and how you will use the information to get healthier. I love hearing from you. I am not able to have ACV or Lemon. I get flushing in the face and very irritated skin and itchy everywhere. Any idea why this is happening? As a stomach ulcer patient, have learnt a lot from your areticle. I’m going to try the Maryland tea. I have been using the vinegar but I’d like to be healed all together. Hi Natalie, Here is a link to order the Matula Tea https://thewholejourney.com/overcoming-heartburn-reflux-ulcers-and-fatigue/. I was hoping you had some Matula Tea, but could not find it in your shop and see in the comments below that it is out of stock. Will you be getting more in? You are really a good blogger. I often visit your blog for latest updates and found it informative as it helps to prevent diseases in our daily lives. I’ve been diagnosed with chronic gastritis and am having pain from it. Should I get that under control before going through gut thrive? Dear Christa, I have been following your posts and blog for a few months now. I first saw you on a TED talk for a class I took at university. I was inspired so much and believe that it is truly your passion to help others. I have struggled with what I thought was excessive acid reflux for years….I have tried reflux meds seen GI for upper Endo and lower colonoscopy to rule out other issues but nothing, comes close to the information and education you are providing. It is such a relief to know there is hope for healing and that it is really easy compared to most other Western treatments. Thank you SO much for what you do. I look forward to participating in some of your healing journeys soon. Hi Elisa! We are so happy you found us and thank you for your kind words. We look forward to supporting you on your journey. Hi there,been doing some research and it landed me here. So glad it did. I have been given about 5 rounds of antibiotics for an infection that still doesn’t seem to want to go away (located above upper molar)since February. I also was told to take Ibuprofen for inflammation.Last month I ended up in the ER. I felt as if I was going in to labor. Had painful intestinal contractions under breastbone area. The after effects left me with acid reflux and now I’m getting heartburn. Doesn’t matter what I take that is over the counter (Pepcid complete & Gaviscon)I still feel symptoms:burping, burning, sore throat, hard to breath, etc, etc). I will be seeing a gastroenterologist tomorrow. I’m hoping with all information provided on your website I won’t need to be on any prescription meds. I a m so happy I found your website!! Was treated for H.pylori with 3 powerful antibiotics and a fungal medication 6 months ago and my gastro problems have greatly intensified! I have all the problems you mentioned so will definitely follow your advice and hopefully rebuild my mucosal lining. Thank you for sharing this with those of us who wish to heal ourselves without any more pharmaceutical medications! Hi Joyce. We are so happy you found us too! Christa is hosting a live free webinar on the 17th of April that will dive deep into candida and it’s effects (such as H.pylori). Please plan to join us. I think you’ll be very glad that you did. Here’s the link to register: https://thewholejourney.com/kick-candida-for-good-webinar/. Love your website and seriously appreciate all of this information. Thank you for making it so accessible and easy to follow! Hi Jen, Thank you for being part of our tribe and for your kind words. We appreciate you as well! Your articles are always so informative and helpful. Really appreciate your short snippets of great knowledge! Don’t stop! Thank you for this. I have been battling digestive issues for over 10 years. I was diagnosed with IBS and Chronic gastritis, but I managed to get the gastris in remission. IBS is still here fully, however I don’t know how I feel about the whole IBS diagnosis in general. I did the candida cleanse with you and felt great. My question is I have a whole new miserable upper gi symptom and I can’t seem to ease it. I am having upper gi pressure and burping and the need to belch but can’t. It has been daily lately. My skin is getting excess patches on it, mostly on my face. I have been breaking down and taking over the counter stuff like “gas-x” and “phazyme.” Do you have any idea what this could be and what natural thing I could do to help it would be? Thank you. I feel so tired and lethargic because it happens mostly at night and I can’t sleep because it is so miserable. Also first thing in the morning. I don’t have Hpylori…had an endoscopy to rule that out. I do have an inflamed, red stomach and an uneasy one at that. also acid reflux. will the matula tea help with the acid reflux or is it just for the hpylori? I am h. pylori negative. I may have some candida as I was treated for it before, but I haven’t exhibited the old signs for it. Yet I has some acid reflux from time to time. Digestive enzymes like Digest Gold have really bothered me in the past. Can I use these other tricks anyway? Hey Heather, in that case, you’ll want to rebuild your IgG with probiotics (ABC twice daily) and Mucosagen (twice daily) for about 30 days before moving into an HCL challenge to rebuild your HCL. At the same time, you can try low-dose Biocidin 3-5 drops twice daily and ramp it up after the 30 days to 10 drops twice daily for a few weeks after that. Just a suggestion but it has to work for your unique body. You may want to double check that with your doc that came up negative for H. pylori (should test at least two ways b/c there are a lot of false negatives otherwise). Hi Laura! Matula Tea is currently out of stock. Thank you for the info Christa, this Matula Tea is very expensive, but does sound interesting. I would need to test-try it before I purchased at that price, because I am so sensitive to many things, so I guess I’ll never know if I can actually use it. Can I take HCL pepsin along with drinking Matula tea for H pylori? I have emailed customer service for Matula tea but have not had a response. I want to make sure I am digesting protein along with killing the H pylori. I have read mixed reviews that H Pylori will burrow in your stomach to hide from the HCL pepsin. So I am confused if I should take it until the H Pylori is eradicated. Hey Amanda, I hope your ticket was rec’d because it’s not like our CS team to not respond. You may concurrently take HCL/pepsin with Matula Tea, yes. That is helpful as long as you take the HCL with meals and the Matula Tea away from meals you will not have a problem of undermining your efforts. We having a 30% off spring sale on Matula and our enzymes until tomorrow evening, FYI. The code is SPRING30. Good luck getting rid of H. Pylori and restoring order to your gut microbiome. Hi…I enjoyed reading your article on gerd..acid reflux. But when I clicked on your link you posted for Matula tea, I wasn’t happy about the price…$169 for a one month supply!!! I know it comes from S. Africa but who can afford this?? Very disappointing! For those of us who have medical issues, every dollar counts, this shouldn’t be so expensive…it’s not claimed as a medicinal drug! I totally understand this Jeanne. It is outrageously expensive and we wish there was something we could do about that. The guys who make it say that it’s an exhaustive process to responsibly grow and harvest the herbs. In case it helps, we’re having a 30% off sale until tomorrow night with the code SPRING30 http://store.gutthrivein5.com. Another way to look at this expense is that it’s a heck of a lot cheaper than the concoction of things necessary to usually eradicate H. Pylori. Hi christa, i found out i have H. pylori what probiotic should i use? im taking sac B since im doing the candida cleanse is that ok? Hey Anna, My apologies as I’m just seeing this question now for the first time. ABC is the best one since it targets the upper GI tract, very supportive to getting H. Pylori under control as is Matula Tea used concurrently. Both are easy additions to the Candida Cleanse and will only enhance it’s efficacy. We are having a 30% off spring sale through tomorrow evening with the code SPRING30. Here’s the link to these products. http://store.gutthrivein5.com. Good luck on the cleanse and in getting your health back!! Can I use colostrum if I have candida overgrowth, h pylori and am allergic to dairy? Hi Lisa. You should clear out the candida and H. pylori with a pathogen purge first at the same time as taking colostrum. You should be not react to the colostrum in though you are sensitive to dairy. I have looked up the Matula Tea on the internet and cannot find out what it is or what is in it. I do not buy things that I cannot see the derivation of or ingredients of. I would like to know more about it. Very informative Blog. Can you please tell me where I can get Matula Tea to buy. Also my friend got something looking like patches of water blisters on the top part of her hand and was told it was H Pylori. Is this a symptom of H. Pylori as well? Hi Cat, here’s a link to the Matula tea if you are still looking for it. http://store.gutthrivein5.com/…. Skin conditions can be a symptom of H. pylori or other infections. Often there is not just one infection going on in the body. Candida causes a lot of skin reactions as well. My husband and I just got done with the Candida cleanse. He has a hiatal hernia and has taken Prilosec . I am happy to learn about the bio-plasma salt. Is there anything that can heal the hiatal hernia? I have learned a lot from you, Christa!! My friends are so surprised I am off coffee!! I surprised myself! :).